The Congress leader joined Twitter earlier Monday, but has not tweeted anything yet. “Smt Priyanka Gandhi Vadra is now on Twitter. 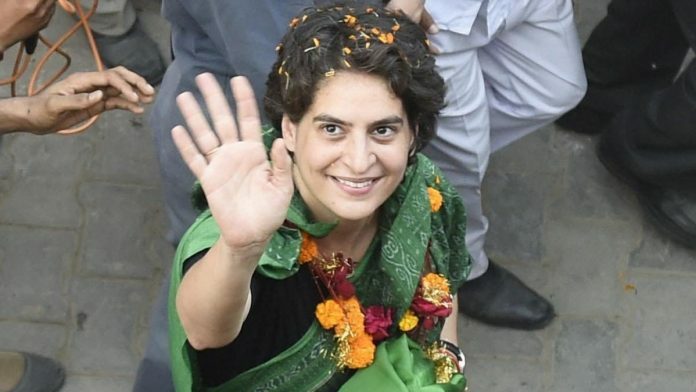 You may follow her at @priyankagandhi,” a tweet from the Congress’ official Twitter handle said. She didn’t post a tweet, but followed seven people, including her brother and party chief Rahul Gandhi as well as party leaders Jyotiraditya Scindia, Sachin Pilot, Ashok Gehlot Randeep Singh Surjewala, Ahmed Patel and the Congress’s official account. The Congress seems to have learnt its lessons from 2014, and has been scaling up its operations on social media platforms to challenge the BJP on a front which has been the saffron party’s forte.